Steven Harp is the Founder and Managing Partner of Colorado Wealth Group. 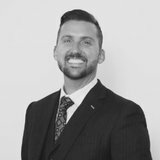 Steven’s vision for CWG is to deliver nothing but exceptional value and expertise to all clients, building on a reputation of being one of the best, and most comprehensive financial planning firms out there. Steven graduated with a bachelor’s degree from University of Missouri in 2004. Since then Steven has built a dynamic, well-balanced practice but remained focused on continuing education. He is a CERTIFIED FINANCIAL PLANNER™ practitioner (CFP®), the most prestigious financial planning designation. Steven also holds his Chartered Financial Consultant (ChFC®), Chartered Life Underwriter (CLU®), Accredited Investment Fiduciary (AIF®), and Certified in Long-Term Care (CLTC). Steven W. Harp is a registered representative of and offers securities, investment advisory and financial planning through MML Investors Services, LLC. Member SIPC. OSJ: 4600 S. Ulster St., Ste 1200, Denver, CO 80237. 303-692-8183. Colorado Wealth Group is not a subsidiary or affiliate of MML Investors Services, LLC or its affiliated companies.